As a new mom, the best infant stroller will make your life much more easier than anything else. At one time, you’ll need to leave your house with your lovely infant. Whether you want to take a power walk, go shopping, walk around the malls or streets, going for a jogging session, etc. – a stroller remains the best option for you to tag along your lovely infant and show him/her the world. Sadly, getting the right stroller for your infant is a painful process given the many models populating the market right now. But after reading the following complete buying guide for infant strollers, you’ll have an easy time finding the best stroller for you. ​Why You Need A Baby Stroller? A stroller is a highly valuable asset and a Must-have item for all moms. It makes it easy and convenient to move your toddler around, saving you the hassle of carrying your baby every time you leave the house. Recent times have witnessed an entry of more and more baby strollers into the market. Some even have advanced features and designs for added convenience. -A great baby stroller provides you with convenient transport for your baby. It allows you to carry your baby with you to any place, any time. Starting our list of the top-rated infant strollers is the Summer Infant 3Dflip Convenience Stroller. Since its introduction into the market, this stroller has enjoyed extensive usage and massive positive reviews from moms all over the globe. It comes with a super stylish, durable aluminum frame that makes it worth every cent. One of the top features that make this stroller a darling for many moms is the reversible seat design. 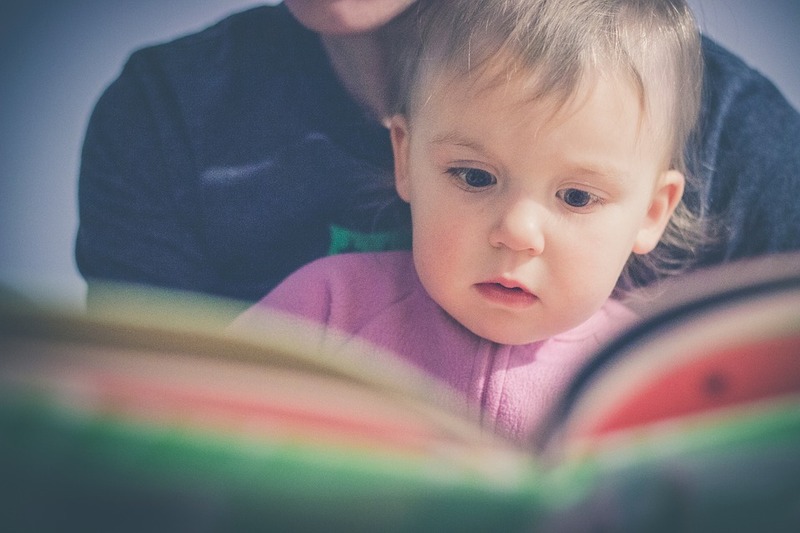 This allows you to configure the seat such that the baby can face you when they’re at infant stage…and they can face the word when they grow older and become more curious. What’s more, it comes with a simple one-hand 3-position recline that allows your “precious cargo” to comfortably rest back as you move them around. Thanks to the extra-large canopy, your baby will enjoy a great shady spot where he/she can enjoy the fresh air and eventually snooze. Moreover, this canopy blocks up to 99.9% of the harmful UV and UVB rays, ensuring complete safety for your baby. Additional user-friendly features included in this model include a cup holder, large storage basket, carry strap, and 5-point harness for your baby safety. Next, we have the Britax 2017 B-Ready Stroller which also enjoys high popularity among moms all over the world for its untamed adaptability and flexibility. It allows you to easily change its configurations to convert it into an in-inline double stroller. Plus it grants you up to 14 seating positions to meet your different baby carrying needs. The Click and Go receiver system that comes with this stroller makes it an ideal choice for the growing families. With this system, you can easily and quickly connect your stroller with any other infant car seat from Britax as well as the B-ready bassinet. Unlike most of the infant strollers out there, this model features rubber tires that team up with the suspension system to provide your baby with a soothing, ultra-smooth ride. Moreover, the stroller comes with a 4-position recline system that provides your baby with the ultimate comfort they need all-ride long. In addition to the exceptional versatility, this stroller is also extremely easy to fold. It employs a one-step folding mechanism- even when two seats are attached- to allow you to quickly fold it for easy storage and transportation. The large-sized basket will fit all the accessories you wish to bring along, and it’s accessible from all sides. Its elegant, slick tires and frame gives it a modern, stylish look that you just can’t resist. Graco is a respected name in the strollers world- with outstanding commitment to safety, comfort, and quality. One of their top-quality models- the Graco DuoGlider Click Connect Stroller- is a living proof of their commitment to making life easier for you and fun for your baby. Hanging on the lower price end, this model is also an excellent choice for parents on a tight budget. Despite its low cost, this model presents you with a huge list of premium features found on the high-end models. One such feature revolves around the many (up to 12) different riding configurations it offers you to suit your growing family needs. The front seat lets you ride your baby while he/she is facing you. And the rear seat can be set into multiple positions and can be easily reclined based on your baby’s comfort. Both seats come with a 3- and 5-point harness system for the increased safety of your baby. You don’t have to worry about folding the stroller as it comes with a single hand hold for a quick, hassle-free collapsing. Its swiveling front wheels can easily lock up when strolling on rough terrains (thanks to the built-in suspension). For added convenience, this model comes with two separate trays- one for holding your baby’s items and the other one for carrying your items. On top of this, it features a large storage bin to provide you with extra storage space. Halfway our reviews for the best infant strollers, we take a look at another model from the Summer Infant manufacturers…unlike its cousin, this Summer Infant 3Dlite Convenience Stroller comes with a single seat. Nevertheless, it has an extremely durable, lightweight, and stylish aluminum frame. Amazingly, the manufacturer gives you this model at crazily low cost, without sacrificing its quality and functionality. One of the top factors that you’ll like in this model is the easy to recline large seat that comes with a 5-point harness. This will provide your baby with the extra comfort they need to enjoy the ride. Besides, it comes with a large sized canopy that lets you stroll your baby, even on sunny day…don’t forget that it shields your baby from the harmful UV and UVB rays. The fact that you can adjust this canopy to fit your baby head height makes it even more convenient. In terms of storage, this unit presents you with an extra-large storage basket at the bottom. This allows you to carry your oversized items like diaper bags, purses, etc. There’s also a rear storage pocket where you can stash our keys and smartphone. And the included cup holder lets you easily carry your infant bottles. If you’re looking for a luxurious stroller, say hello to the Baby Jogger 2016 City Mini 3W Single Stroller. 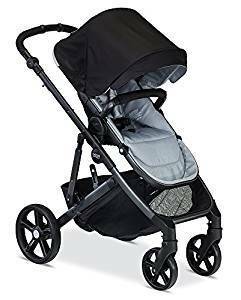 Like all the other models from Baby Jogger, this model is incredibly durable and lightweight- making it easy to push around for an extended period of time. Examining its seat closely, you’ll discover that it offers you multiple recline positions to ensure your baby feels exceptionally comfortable while in there. The fact that the seat has a weight capacity of 50 lbs. means it can hold your infant until it grows into a toddler. Thanks to the patented quick fold technology, you’ll have an easy time folding this model for storage or transportation. 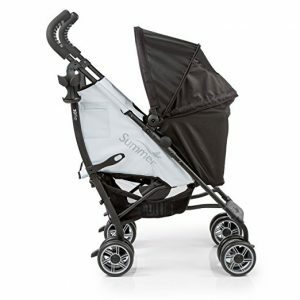 Similar to our previous model, this Baby Jogger also comes with a canopy that keeps your child safe from the harmful UV rays and other environmental factors…plus it’s also adjustable to match various head heights. It incorporates three 8-inch EVA wheels with lockable swivel front tires plus front wheel suspension for an extra smooth ride that lures your baby into deep sleep. 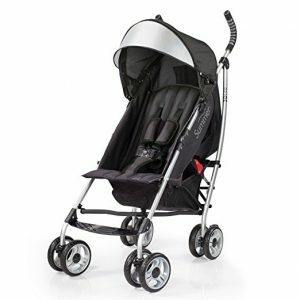 The BOB Revolution Flex Duallie Stroller is not only a top pick for moms looking for the best double jogger stroller but also a great example of the perfect craftsmanship and remarkable performance. It’s an excellent choice for active parents who want to take with them their child to their routine exercises or jogging sessions. Some of the key features that make this model suitable for use outdoors- on both trail and street terrains- include the swiveling front wheels that enable it to easily maneuver rough grounds and tight paths. Not to forget that they perfectly lock into place when you go jogging to give you some peace of mind. Just like other jogging strollers, the unit features three wheels which are slightly bigger and have deeper treads for increased grip. Furthermore, it boasts a state-of-the-art, adjustable suspension system that offers you 3 inches of travel and two-stage weight support- ensuring your baby enjoy an ultra-smooth ride, even on the roughest terrains. Being a double stroller, you can rely on it to stroll more than one baby conveniently. It also features padded handlebars for comfortable grip; the fact that you can adjust the height of these handlebars in up to 9 steps to match your height makes it convenient to use. 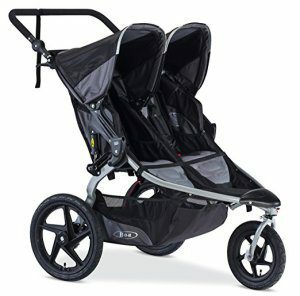 Looking for the best jogging stroller or jogger? If yes, I recommend you to invest in the Thule Urban Glide. This is a well-built jogging stroller that comes with a super stylish and sleek design for parents who’d want to stroll their babies around in style. Whether you live in the urban environment or you’re an active parent/frequent jogger, this Urban Glide will truly meet your needs and expectations. The ease of use and comfort presented by this stroller are second to none. The tri-wheel design makes it conveniently easy for you to navigate it across different terrains. The front wheels swivel to combat all obstacles along the way. And when you go for a jogging session, they lock into place to ensure the safety of your baby. Moreover, it comes with a lightweight design- at only 23 lbs. – making it easy to push on different terrains while further increasing its maneuverability. The Urban Glide also minds your storage needs, so it provides you with a zippered storage bin that will carry most of your valuables, including the larger ones…and the zipping ensure your items remain secure and don’t get lost along the way. The one-hand fold mechanism makes it super-easy for you to collapse and store this top-quality jogging stroller while holding your child with the other hand. If you didn’t fancy the previous jogging stroller, you might want to look into the BOB 2016 Revolution FLEX Jogging Stroller. 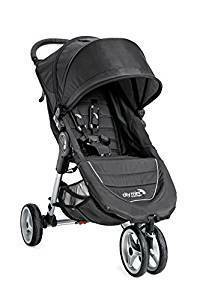 It is also a top-quality jogging stroller that allows you to bring your infant along when going for morning jogs or any other exercise routines. The overall design of this stroller is focused on making it suitable for outdoor usage- for many, many years to come. This is evident from its tri-wheel design that helps increase its maneuverability on the toughest of the terrains. Moreover, the wheels have a bigger size than the other models and are air-filled to enhance their grip on different grounds. The state-of-the-art wheel suspension system ensures a super-smooth ride for your baby, especially on the uneven terrains. Above all, it has a solid frame that gives it the sturdiness it needs to serve you for years to come. The seat is sufficiently padded to enhance your infant’s comfort. Likewise, the handlebar comes fully padded to make it easy on your hands…not to forget that it comes with up to 9 adjustable height positions to make it user-friendly. The two-step folding process makes the unit completely easy to stow/store. And the fact that you can easily integrate this stroller with any BOB infant car seat, makes it even better! As I said at the beginning of this post, there’s a high number of baby strollers on the market. The first thing to look for when buying a new stroller is the materials used to construct it. As I told you earlier, the stroller you buy can be a long-term solution to your baby carrying needs, ONLY if you buy a quality model. Ensure the stroller frame is made from sturdy metals- like aluminum- that will stand the test of time. Besides, ensure the fabric it comes with is also sufficiently robust to withstand daily use. Remember that a strong model translates to the security of your baby and extended lifespan. In addition to being durable, an ideal stroller for carrying your baby should also be made from lightweight materials. This will go a long way in making the unit easy to transport from location to location. -Standard strollers: also referred to as full-size strollers, these models are usually large, sturdy, and hang on the higher price end. Most of them come with a bassinet stage and a reclining seat for high-level adaptability as well as baby comfort. -Travel systems: they come with a universal frame that easily holds your car seat- acting as a perfect travel companion. Not only that, it features a simple toddler seat so that you can use it as a lightweight stroller when your baby is about four years old. 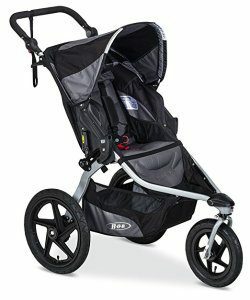 -Joggers/jogging strollers: joggers are specially designed for the active parents or serious runners. They have a three-wheel design and can be used for both street and trail running. Additional features include handbrake, lightweight design, and a safety strap for your wrist. -All-terrain sports: regarded as the sports utility models in the strollers industry, these models combine the features of joggers and standard systems, making them an excellent alternative for the two models. They’re typically durable and lightweight. They come with better maneuverability than joggers and have full-suspension wheels for increased baby comfort. 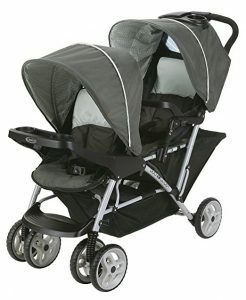 -Double and triple strollers: as the word suggests, these models allow you to stroll two or more babies, all at once. If you’ve got twins or triplets, these are the ideal models for you. Also, if you want to carry a baby and an older sibling in your stroller, this is the model to buy. Which of the above stroller types meets your needs? The size of the stroller you buy should depend on your environment as well as your daily routine. For example, if you buy a bigger model and have a small, compact car, you might have some problems trying to fit it inside. Besides, the bigger size models tend to be expensive and consume a lot of space in your home. One thing you’ll enjoy about all infant strollers is that they’re foldable, allowing for easy storage and transportation. That said, don’t expect all of them to come with the same folding mechanism. Some are really hard to fold as they feature hard to reach pull up options and levels. Others are extremely easy to fold- with dual fold and single push collapsible design. Needless to say, you should go for an easy to fold model. This will save you time as well as space (and meet your portability needs when traveling). One of the top benefits of owning a baby stroller is that it allows you to carry all your accessories along with those of your baby. However, you need to check that the basket size of the stroller you wish to buy will hold all the accessories at hand- like infant bottles, your cell phones, toys, purse, diaper bag, snacks, etc. This will leave your hands free all the time, for added convenience. As you continue using your baby stroller, your baby might drop some drinks and foods on it, prompting the need to clean it. 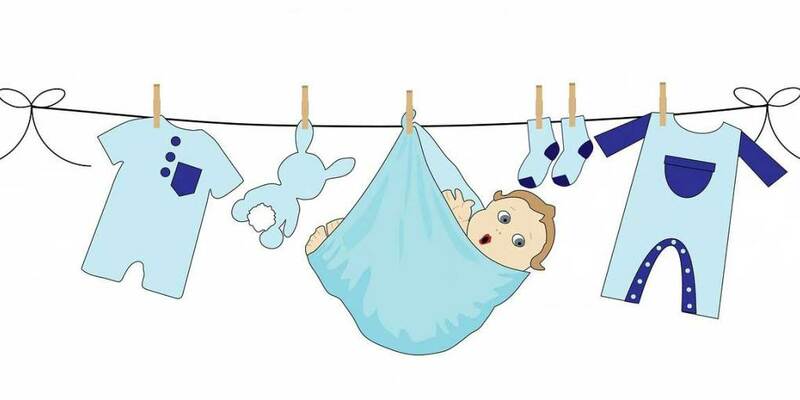 It, therefore, makes sense that the stroller you plan to buy should come with washable fabrics to ensure you carry your baby in a clean and hygienic environment all the time. A stroller that comes with a wide range of adjustability features is also a great option as it will make your life even more easier. The key things to look for in a highly versatile model include car seat integration, adjustable handlebar, adjustable seat positions, expandability (allows you to add an extra seat), reversible seat, etc. Don’t forget to check if the stroller you’re eyeing is user-friendly. This feature is quite important as it gives you peace of mind when operating your stroller. Be on the lookout for convenient features such as easy to replace wheels, easy maneuverability across various terrains, brakes to easily stop it from rolling away, and an accessories basket to carry extra items. Above all, come up with a reasonable budget for the stroller you want to buy. These fantastic baby gear come at varying prices depending on the design, style, materials, features, and so on. Surprisingly, the color that comes with a given model can also impact its price. With a reasonable budget, you can genuinely get a model that meet your needs and expectations, even when you’re on a tight budget. As I said earlier on, a stroller is a great asset and a must-have baby gear for all moms who want to safely walk with their babies while running other important errands. The travel system makes your life easier by providing you with a convenient transport system for your baby, keeping your baby safe from various environmental factors, allowing you to carry all your accessories as well as those of your baby, and so much more. Getting the best stroller for your baby isn’t a walk in the park. But if you follow my complete buying guide above, I can assure you 100% that you’ll end up with the best infant stroller for your baby. Final VerdictYour BudgetConvenienceVersatilityWashable StrollerStorage Basket SizeFolding MechanismSize/SpaceType of Stroller1. Summer Infant 3Dflip Convenience Stroller, Double TakeTop 8 Best Infant Stroller Reviews:Why You Need A Baby Stroller?